This admired Baroque violinist studied at the University of California, Berkeley, and the Royal Conservatory of Music in The Hague. In the 1970s, she performed as a violist with the Rotterdam Philharmonic and the Oakland Symphony and switched to the Baroque violin in the early '80s. She is a long-term member of San Francisco’s Philharmonia Baroque Orchestra and American Bach Soloists, often serving as concertmaster, soloist, or leader. 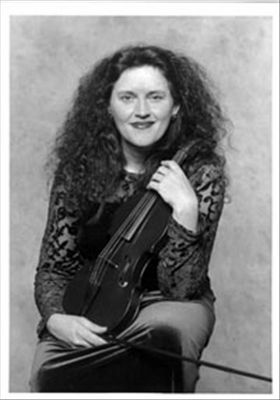 She serves as concertmaster of the Göttingen Handelfestspiel Orchestra, and often as concertmaster of the Italian ensemble Il Complesso Barocco. She is involved in many acclaimed period-instrument ensembles, including Musica Pacifica, the Arcadian Academy, American Baroque, Trio Galatea, and Trio Galanterie, and has made over 100 CDs with these ensembles and the above-mentioned orchestras. Blumenstock is instructor of Baroque violin at the University of Southern California and teaches summer courses at the International Baroque Institute at Longy in Cambridge, MA.